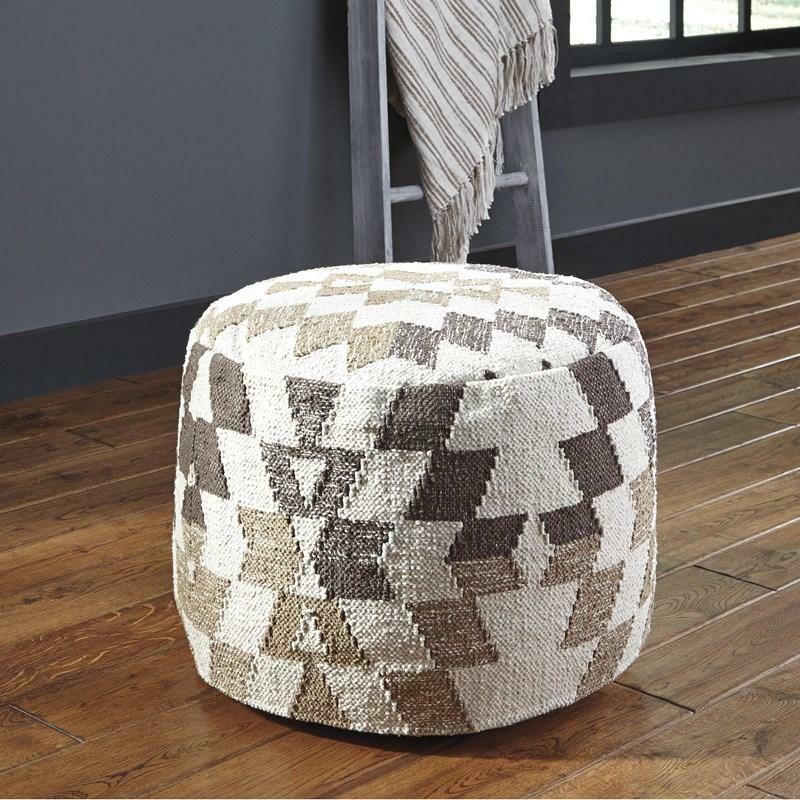 The Signature Design kilim-inspired Abraham pouf beautifully weaves together a bold geometric pattern and soothing, neutral hues. 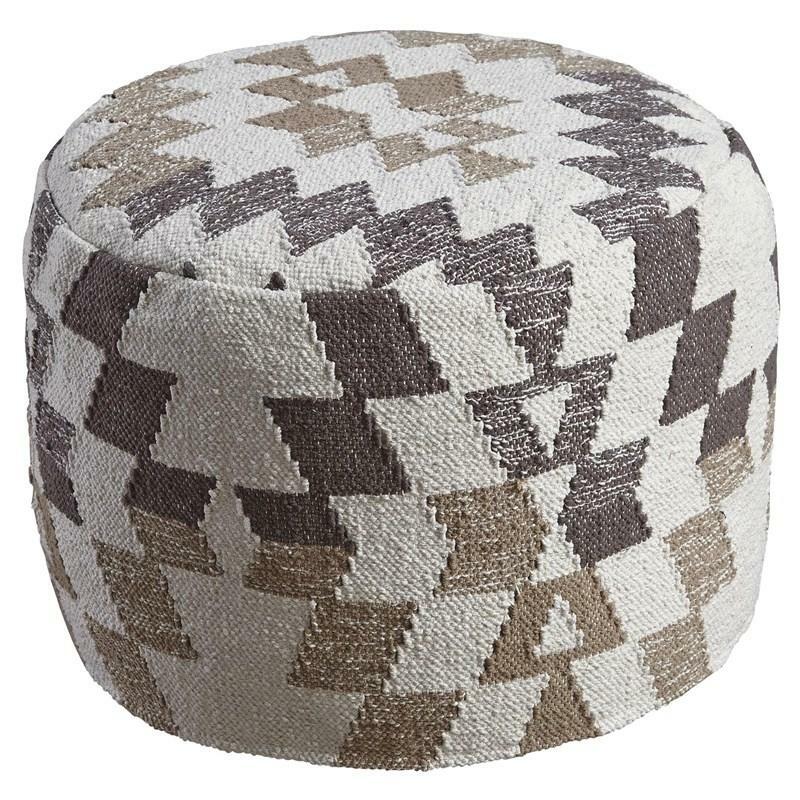 Use as a posh and plush footrest or spare seat, or top with a tray for an instant end table. Volume 4.39 cu. ft. / 0.12 cu. m.